Girls, we all know how ugly breast cancer can be. 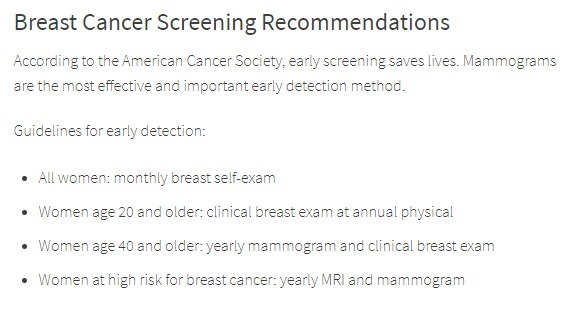 We also know how important it is to get mammograms. Especially if there is a history in your family. As drivers and riders we also know how hard it is to schedule an appointment with our doctor and actually make it home in time. 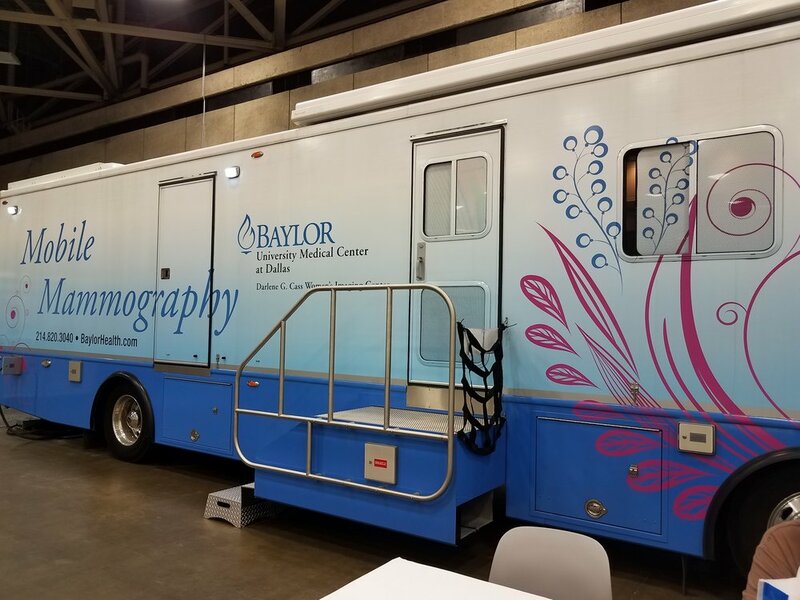 For the third year in a row, Baylor Scott and White Health brought their Mammogram bus to The Great American Trucking Show, in Dallas, Texas. They offer free mammograms by appointment to CDL holders and their spouses. They are able to provide free mammograms due to fundraising by Rick Ash and OnRamp to Health. I had my first mammogram done three yrs ago at GATS, and again this year during the show. As I expected, I received a clean bill of health. I got to their bus first thing Friday morning. The women working on the bus were great. I was greeted with smiles and pleasantness. Maybe it was because they knew I was about to be tortured. OK.. so it wasn’t that bad, but it can get uncomfortable during the procedure. First they reviewed my paperwork and made sure I was entered in their computer database. Then the next thing I knew I was being shown to this tiny room where I was told to strip to the waist, clean off any deodorant, and put on a blue paper vest with two plastic snap buttons. The two snaps were presumably for dignity; however, I am not sure why we needed the snaps when dignity is out the window in a few short moments. As I finished protecting my dignity, another door to my little changing closet opened. After being led into a slightly larger room I saw it, there in the middle of this room was the torture device. OK not really a torture device, but it does remind me of one. This is the moment when what was left of my dignity was tossed out. I was positioned this way and that way, two poses per breast. With each different pose in the torture device my breast was held between two plates - tightly. I was told that with those who have implants there are a couple extra poses to be done. This is because the implant needs to be moved around in order to get a good image of breast tissue and lymph nodes. Looks innocent doesn't it. Oh but this is pre-squish. The tech working the machine was as gentle and professional as she could be while maneuvering me into each position. That included moving my breast into the proper position between the plates, then promptly flattening my breast between the plates and the booby squisher. Medievil torture dev... I mean the boobie squishing maching in full squish mode. While not a horribly painful experience, it is still rather uncomfortable at times. But ladies, isn’t a few minutes of uncomfortableness worth the peace of mind? If you haven’t done so yet, please try to schedule one with your doctor. If you cannot, then watch for the announcement and schedule a visit for next year during The Great American Trucking Show. If you are a lady CDL holder, or the spouse of a CDL holder, even if you do not have insurance you can get your mammogram during GATS. Thanks to the efforts from On-Ramp to Health and their established charity for this event, your mammograms are free during the truck show. Please call ahead of time to schedule, as slots are limited. And if you are so inclined and able, please donate to OnRamp for Health to help cover the cost of mammograms for those who do not have insurance to cover the cost.